All you need to know. You do change your bar tape more than once in a blue moon don’t you? There’s a lot more to the humble handlebar tape than the crucial colour coding with your saddle, frame or components. Not only does bar tape help with comfort by cushioning road buzz and soaking up sweat but also safety as it allows for better grip and stops the hands from slipping from the bars. The inner side of bar tape has a sticky centre strip to attach it to the bars. The outer side is better finished to protect against wear and tear. Two bar plugs stop it unravelling at the bottom ends of the bar while at the centre near the stem it is simply finished with sticky tape (sometimes supplied, usually not) to keep it in place. Construction material and thickness can have a huge effect on comfort and control so it’s worth spending time finding out what’s best for your needs before purchase. It all looks fairly similar and it does the same fundamental job so why do some tapes cost less than a tenner and some over £30? The more you spend the more technology and better materials you get. But remember any correctly fitted tape is better than no tape, damaged tape or poorly fitted tape. Handlebar tape is available in several materials each with their own particular properties. Synthetic tapes are the most popular as they are cheapest and easiest to produce and also easiest to look after. Cork ribbon is also very popular with traditionalists due to its cushioning properties but it does get grubby quickly and is easily damaged although saying that it isn’t that expensive to replace. Leather tapes work well, look nice and last ages but they are very expensive. Some tapes now feature a gel core which offers more cushioning making it good for those who want more comfort and don’t mind a thicker grip area. The finish of the outer can also affect performance and comfort with some having a tacky feel for better grip whilst cork tape can have a comfy spongy feel to it. Most tapes are a similar thickness but there are some exceptions. Lighter weight racing tape is quite thin as these riders will appreciate a more direct feel on the bars as well as a tiny bit of weight saving. If you want extra thick tape for more cushioning for say, cyclocross style bikes or touring bikes, then there are many options available which are clearly labelled so check the specs before purchase. 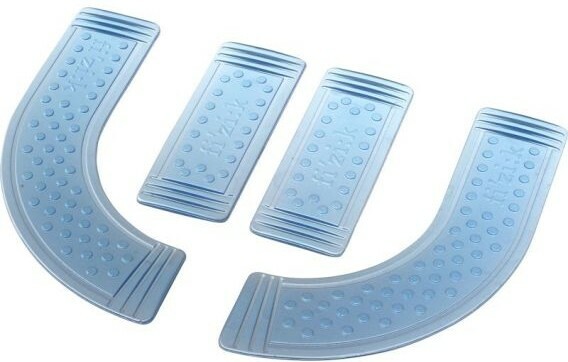 Gel pads are fitted directly to the bars underneath the tape giving greater cushioning and therefore more comfort. They may be slightly more expensive than a gel filed tape but at least you will have these for longer than the tape and you can also add more or remove when you next tape the bars making them more customisable in the long run. 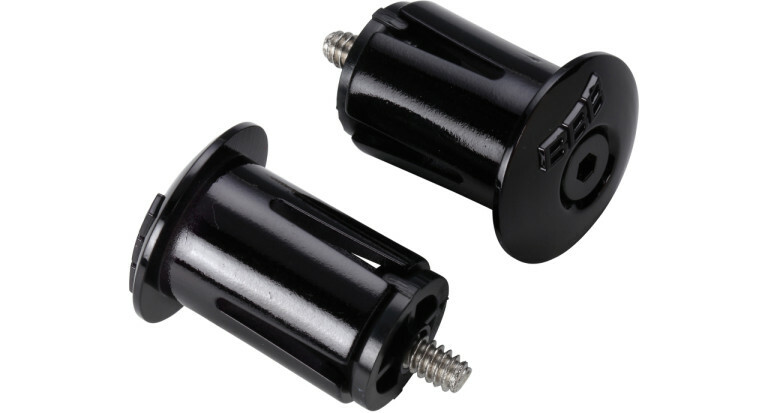 Don’t overlook bar end plugs, they aren’t just to tidy the ends up (although they do that admirably) but more importantly they are essential for safety as they prevent the end of the bar gouging skin in the event of an accident. They also save paintwork or the bars swing round and hit the frame when in transport. So make sure they are securely fitted. Here we go then. Should your bar tape match your saddle or frame colour? Or should it match your kit like Tour de France yellow jersey and Giro d’Italia pink jersey wearers? (we are biased towards this though as these guys always look cool). These days you can also get handlebar tape that comes in two colours in the same piece of tape. This means your drops can be one colour and your tops can be another colour. It can look really stylish if done nicely. It is worth bearing in mind though what kind of weather you’ll be riding in and the level of use your tape gets before purchase, especially for lighter colours. This usually means it’s darks for winter where road grime always covers everything even with mudguards. With lighter colours for summer. Which handlebar tape should you buy? Leisure riders will appreciate the most cushioning possible for greater comfort so thicker tape or gel pads are good. Regular riders will appreciate a good level of cushioning but not overkill. Saying that, gravel track or touring cyclists may appreciate more padding for more comfort especially over longer distances. Racers tend to like a lighter less padded tape so they can get a better feel for how the bike is handling, thinner tapes also makes gripping the bars easier. If you are doing many hours in the saddle you may appreciate a bit more padding on the tops. Tagged Bar Tape, beginner, buyers guide, cockpit, contact points, handlebar tape. Bookmark the permalink.